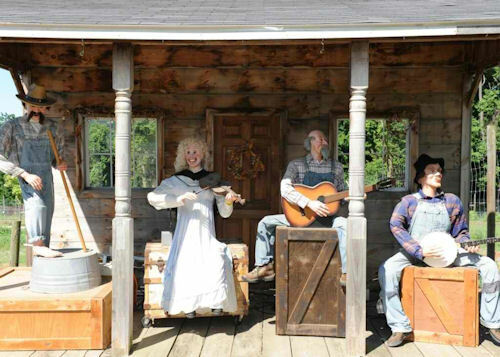 Terrifying Animatronic Hillbilly Band for sale on Ebay! Got an event coming up real soon? Maybe a wedding? Maybe a birthday? Well in case you are and you’re wondering where to find memorable entertainment for your party? Look no further than Ebay. Right now, because of a ‘changed business model’, you can now have an entirely Hillbilly band play at your event! A petting zoo/amusement park in Massachusetts has decided to bid farewell to this frightening group of robotic performers designed and built by an ex-Disney Imagineer (we kinda get why he’s an ex-Imagineer). Originally this band cost the company $15,000. They’re letting go of the whole group, including the porch if you dismantle it yourself, for a steal at $5,000! Total deal. You only have a couple of days left to snag the entire group so you’ll have that special ‘something’ that leaves an impression on your event’s guests that they’ll never forget..
Like when they all suddenly stop playing, turn their heads to look at you with their unblinking stares and then quickly return to playing one of their beloved jigs. Featured on the cover of WIRED magazine this month, these little drones or “quadrotors” have been popping up everywhere lately. The show in the video above features 16 of them performing some very cool computer-controlled aerial choreography using reflected light. Which we’re pretty sure is a signal to Skynet that it’s highly mobile flying army is ready. 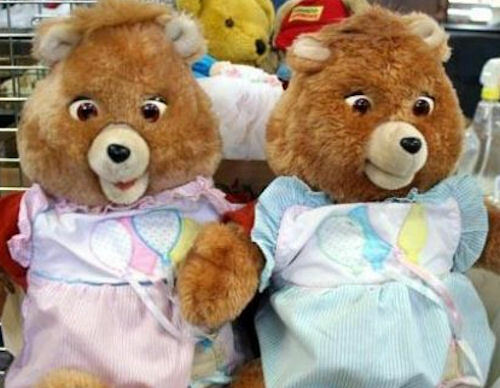 80 Teddy Ruxpins Become Creepy Voice of the Internet! Many of you might remember Teddy Ruxpin as something of a tech marvel of the 80s. Teddy Ruxpin was like having your own Disney animatronic as a kid. Insert a cassette tape into his back, press play and Teddy Ruxpin would lip-sync to recordings of stories featuring his adventures…or to any of your favorite bands…or to Eddie Murphy’s Raw standup act. Any audio you could pipe into him, he’d lip-sync to. Teddy Ruxpin is back…in probably the oddest, almost creepiest way possible…an art installation that reads posts from Twitter out loud. Eighty Teddy Ruxpin’s have been wired and attached to a wall by Sean Hathaway as part of an installation called TED ( “Transformations, Emotional Deconstruction” ). TED is a large, wall-based installation consisting of an array of 80 Teddy Ruxpin dolls that speak emotional content gathered from the web via synthetic speech with animated mouths. The speaking of the emotional content is accompanied by one of twenty-four musical vignettes that have been paired to the emotional content being spoken. Each vignette, representing one of twenty-four subtle variants of human emotion, have been composed in such a way that the beginnings and ends of the short pieces will seamlessly dogleg in any possible configuration and stream endlessly as a unified whole. The installation is allowed to drift about freely through the emotional landscape being driven only by those who are contributing content to the piece whether unwittingly or consciously. As such the overall presentation of the piece can vary greatly based on external conditions such as seasons, world events and even time of day. Below is a video of the installation at work. Just don’t watch it before you lay your little precious head down for the night…it’ll probably change your pulse as well…but not in a good way. 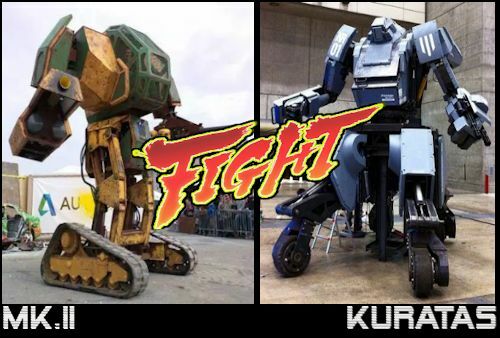 Robots. 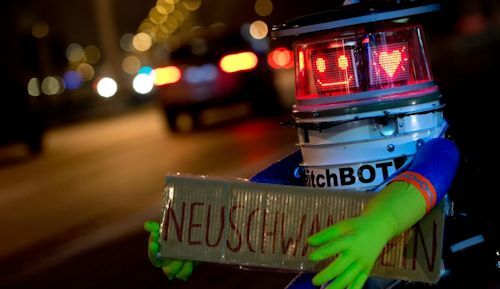 They’re already everywhere just waiting for SkyNet to give the word. 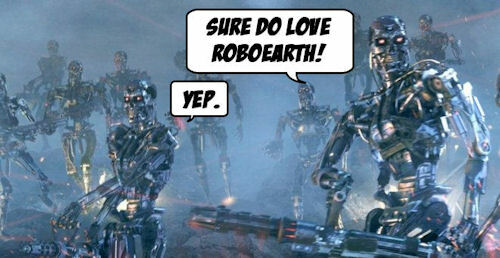 Up until now they’ve all been land-based future threats to humanity…up until now. Besides Bruce, the shark from the original Jaws movie, robots that take to water are about as rare as cats who enjoy a good shower. Specifically humanoid ones. Swumanoid is about to change that. 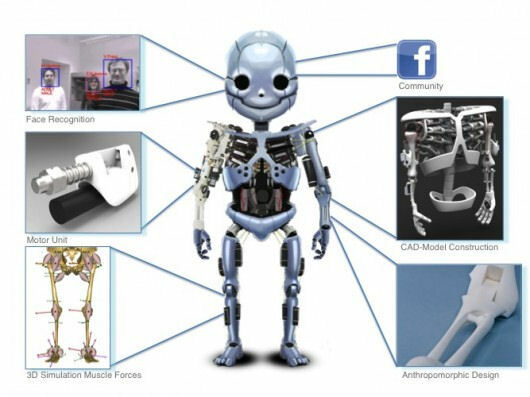 Swumanoid, created by Chung Changhyun and Motomu Nakashima at the Tokyo Institute of Technology in order to measure water resistance. Created using a 3D printer and featuring about 20 waterproof motors, Swumanoid is able to accurately perform a breaststroke, backstroke, butterfly, dog paddling and even tread water. So if you’ve finally gotten over the whole “I’m scared of deep water because I don’t know what’s in there and it freaks me out” craze?